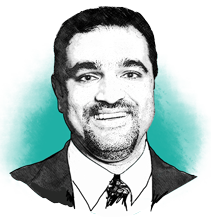 Pharma's Almanac | Rajesh Shenoy, Ph.D.
Rajesh Shenoy, Ph.D., Vice President, Global Chemical Development at Albany Molecular Research Inc., is responsible for AMRI’s Development, Analytical Operations. Joining AMRI in 1998, Shenoy has held positions of increasing responsibility, including Managing Director of India Operations, Director of Global Project Management, Senior Director of Global Project Management and in 2014, Senior Director of Global Chemical Development. He earned a Ph.D. in organic chemistry at the University of Akron and postdoctoral research at Kent State University.